Sacred Repair ; Women as ‘wounded healers’ bring their wild energy, informed by struggles and suffering as we walk in this world. The healing stories we tell are a unique offering from this feminine medicine. Join this group of women and circle up for an evening of exploring and honoring your medicine walk. We've been learning more and more about the indigenous forms of hands-on healing that exist in North America. We will see how Native American forms of bodywork and hands-on-healing have been passed through Still into contemporary American osteopathy and discover its indigenous origins. Traditional Cherokee people called their techniques of hands-on healing “reading the body,” and in this workshop, we will demonstrate these indigenous techniques, comparing them to American osteopathy and traditional Chinese medicine. We will explore how these indigenous people used various strategies for touching the body, including deep pressure, rocking, shaking, running energy meridians, mobilization, and breath work as a means to restore spirit to all parts of the body. Engage in a sacred ceremony of journey work and shamanic crafting. The shaman/spirit/medicine drum is used universally, and is prevalent among many original peoples as a living and conscious tool to bridge into expanded reality. 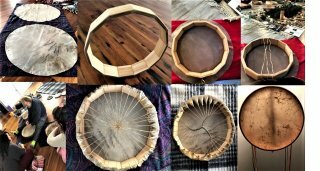 This is a 2-day Spirit Drum making workshop and needs to be pre-booked paid by May 18th, 2019. Come join us in a place of compassion of heart opening through artistic expression of cleansing the 5th Chakra, the throat. Open to speak your truth, work on your Clairaudient abilities to break down blockages to open and heal your Throat Chakra. Come explore gentle and therapeutic yoga poses,deep releasing stretches with deep breathing and supported restorative poses with the sound and healing vibration of the crystal bowls and gongs. We combine physical movement with sound and frequencies to penetrate into all the layers of our bodies to release stuck energies .The result is a deeply relaxed body and mind filled with healing vibrations and a deeper sense of connection to Spirit. If you are interested in learning an effective method for relieving stress which also promotes healing or You are already a Reiki practitioner and would like to enhance your Reiki training & skills, Come learn and explore much more in class. Learn what Reiki is, how it heals. In class we will review the traditional Reiki History and Reiki hand positions used in a session for yourself and others. Come on down and join us in our Shamanic Reiki Drum circle,Bring your favorite drum to journey with, Tone and chant the healing vibrations of the your Drum. A healing modality to create spiritual awareness and well being. 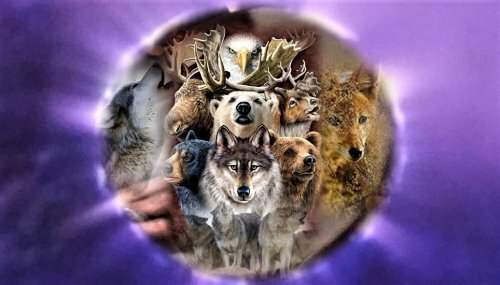 The Shamanic Reiki Drum Circle is the place where you can relax your mind, allow spirit to guide your songs and increase your Earthly intuition. Receive a Reiki chair Blessing(Reju) followed by a guided group meditation. Offer each other support with a group healing exchange. Learn how to recognize, identify patterns, shapes and facets in crystals and qualities of gemstones & stones. As healers the need to incorporate the crystal/stone people into your work such as reiki, shamanism, crystal and energy work. As we work this month with the dessert rose and river stones, moving the energy of water and earth, to travel inside ourselves and discover the movement of our energy and the nature of our vastness looking within ourselves to thrive and empower yourself. Join us as we bring together the feminine & masculine divine & Celebrate their sacred union in our one heart during this magickal sabbat time. 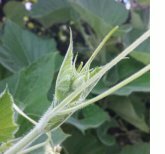 Beltane, the 2nd cross quarter holiday of the Celtic wheel of the year, invites us to connect with our bodies. As earth, we are softly sprouting new seeds of spring & coming into sacred union with the summer sun. We welcome you to come and relax in a Sacred Space of harmonic Sounds with Sacred Gongs, Tibetan Bowls, bells, Chanting and other instruments. Enter and let your Spirit Breathe, Relax, Receive, go into a deep meditative state of relaxation and serenity, which allows healing to come into the Mind, Body and Spirit. Each and every one of us store power song and sound within our spirit. The language of the soul is often expressed in music which is why music is the universal language that crosses cultural, racial and language barriers. Explore the three vessels within our body, the vessel of wisdom, the vessel of motion, and the vessel of incubation. These vessels are sometime recognized as the “boiling places” in the human system into which the power of inspiration can flow and be held and activated. In this sacred circle we call upon 4 Angelic Anointments – Michael, Haniel, Ariel & Chamuel – to assist us in amplifying our energy and opening the Sacred Heart & Seat of the Soul - Thymus Center. In anointing ourselves and each other, we will focus on aligning specific chakra centers to prepare the way for opening/reawakening the Sacred Heart. Cognizance beyond the distractions of the human experience, Visionary Guidance is an all encompassing consultation technique; a seeming blend of philosophies, psychologies, and spiritual practices of human reality merged with non-physical awareness using an altered state or trance. Cé Änn is also offering private sessions, open link below for info. Irma and Judith are open for sessions, crystal, Vogel wand, sound, Reiki, Karuna Reiki and shamanic sessions. (no hourly rental offered) or weekend (in advanced) rental. Being in Wakeful DreamTime, The Art of the Seer's Series, The Art of Stalking; Vital Force Energy & Crystal Healing Certification I, II & III with Irma.